Most of us never encounter showmen directly. Often wrongly confused with other travellers and frequently seen as outsiders, they have their own strong cultural identity. 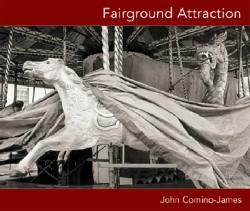 The fairground itself may be transient and its modern equipment may employ the most up to date electronic and mechanical technology, but the Showmen’s community is deeply rooted in historical tradition and strong family values. Condition: Fine copy in very good and undamaged dustjacket. Click here for new copies.